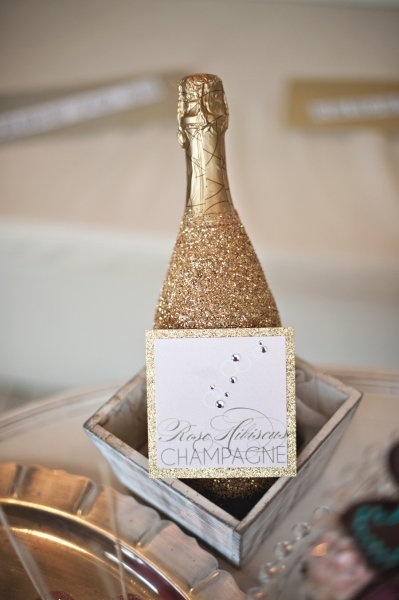 The holidays are right around the corner and with holidays come celebrations and with celebrations comes champagne. I enjoy a good glass of champagne and I love learning new things. 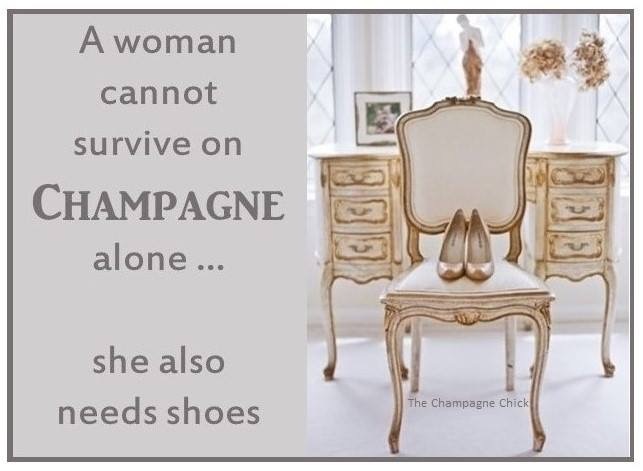 That’s why I jumped at the opportunity to attend a recent class on champagne with some girlfriends. The class at Total Wine was called “Here’s to Bottles that Pop: Champagne and Sparkling Wine,” and I learned there is a difference between the two. In fact, I learned a lot, most importantly: don’t save it just for special occasions! I knew that only what is produced in France’s Champagne region can be labeled “Champagne,” but there’s so much more to it. Yes, champagne is a type of sparkling wine produced from grapes grown in the Champagne region but there are also stringent and comprehensive rules that producers need to adhere to, including grape types, bottling, production methods, and more in order to earn the coveted champagne name. So stringent are the regulations that it is illegal to label a product “champagne” unless it comes from the region and is produced under the appellation guidelines and on specifically designated plots. The Champagne region is 90 miles northeast of Paris and its northern and cold climate is challenging to grow in, but miraculously it’s ideal for growing grapes used in champagne. In fact, most fermenting is done in the cooler months. So what exactly is champagne? 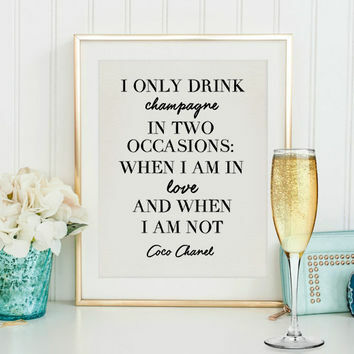 Basically it is wine with bubbles…and so much more! The traditional champagne production method how champagne is called “method champenoise.” Fermentation is a big part of the process, including that of yeast and rock sugar. The second fermentation results in a natural sparkling wine and the yeast must then be removed. This begins with ridding, when the bottles are turned upside down and lightly shaken to move the yeast to the neck of the bottle. After this, the neck is frozen and the cap is removed. The pressure in the bottle forces out the ice containing the lees, and the bottle is quickly corked to maintain the carbon dioxide in solution. Finally the bottle is filled to replace the missing volume and fitted with a Champagne cork and halter. In a general sense, sparkling wine is any wine, usually white, that is carbonated either through fermentation or by adding carbon dioxide. It does not include any or all wines that produce bubbles such as Moscato. One of my favorites, Prosecco, is Italy’s version of champagne, as is Spumante. Cava is the signature sparkling wine of Spain and means “cave” in Spanish, which is the method it’s produced: in caves or cellars. If you prefer a dry sparkling wine, Cava is for you. French sparkling wines made outside of the Champagne region are called Cremant and Germany boasts a variation labeled Sekt. One thing I didn’t know is that there aren’t specific champagne grapes per se. 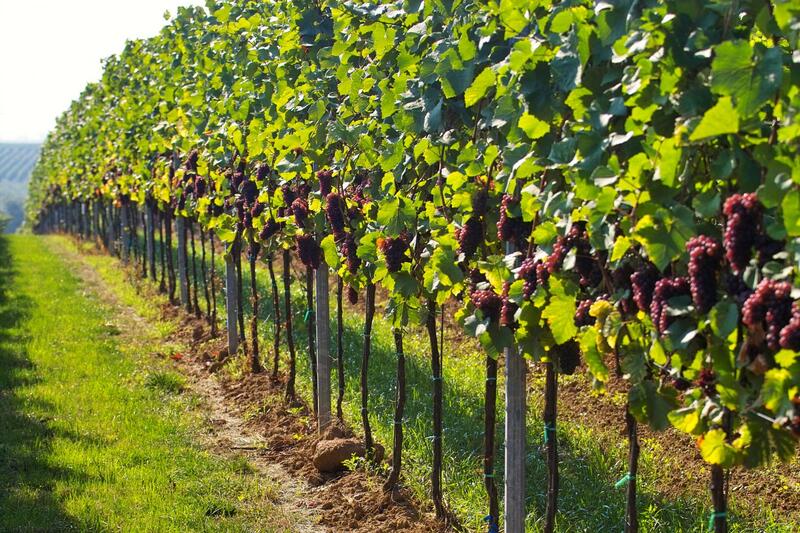 Most champagnes and sparkling wines use black Pinot Noir grapes, as well as Pinot Meunier and Chardonnay grapes. So essentially, champagnes and sparkling wines are blends. Who knew? In layman’s terms, there are three types champagne: Blanc de Blancs made of 100 percent Chardonnay; Blanc de Noir made from all red grapes; and Rose, which is made by soaking red grape skins with juice or by adding a bit of red wine to the mix. 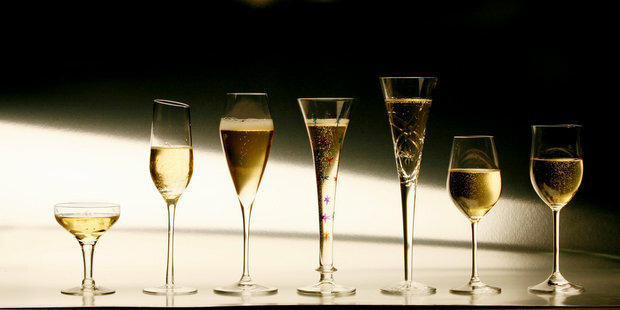 Most champagnes are also blends of different years, or vintages. 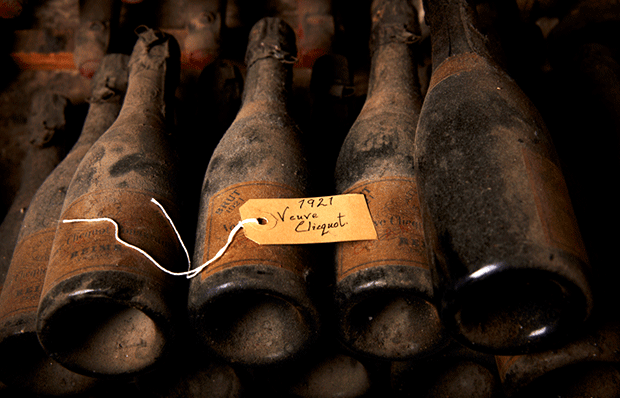 Any champagne labeled Vintage is the best of the best, must be made from grapes harvested in the same year and aged at least three years in the bottle. I asked our class leader about the word “Domaine,” which you often see on a bottle of champagne. He said it is basically the same as “chateau,” in that it’s where the bubbly was made. Another term common in the champagne world is “cru,” which is French for “village.” There are 312 Champagne villages that produce high-quality grapes and each is rated based on that quality. Grand Cru is the highest, followed by Premier Cru and Deuxieme Cru. The better the Cru, the better the bubbly and the higher the price. All champagne is rated according to a system consisting of such things as vintage, nose intensity, fruit intensity, flavor characteristics, balance, and length/finish. Points are totaled up and that’s where you get a “Wine Spectator rating,” with 100 being the best and the highest. 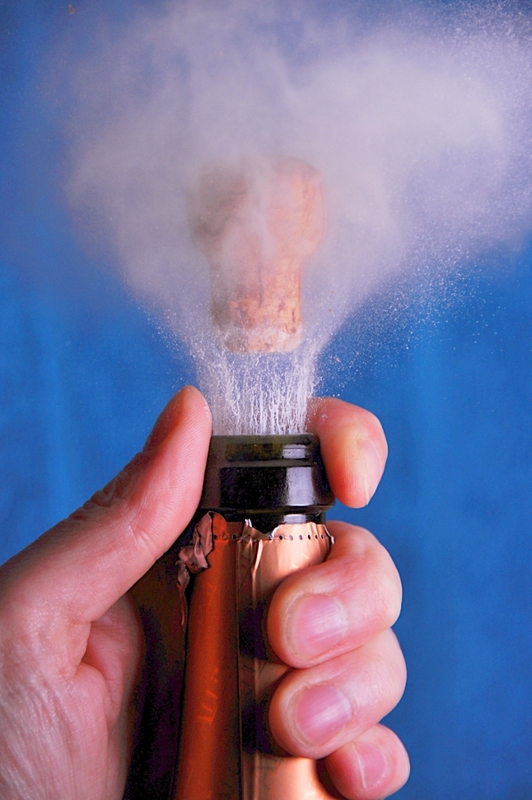 It’s estimated one bottle of champagne has 49 million bubbles and a cork can travel 40 mph if carelessly popped! A champagne bottle holds a considerable amount of pressure but early designed bottles tended to explode. Manufacturers kept making them thicker until they could contain that pressure caused by the release of carbon dioxide during the secondary fermentation. 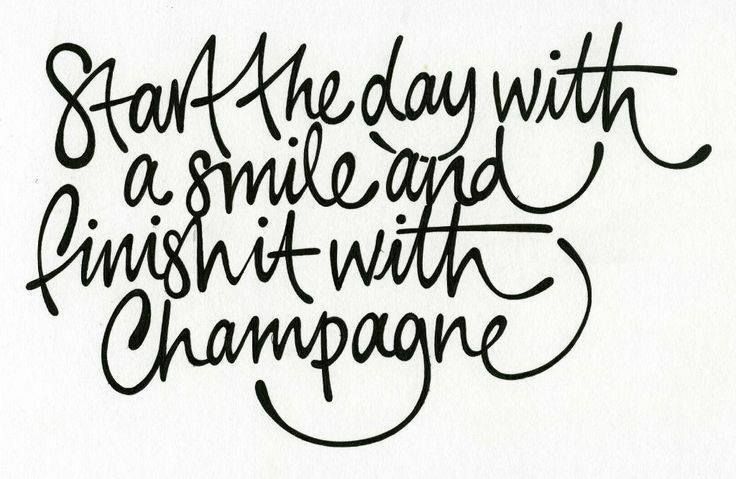 It is estimated that a standard bottle of champagne has approximately 49 million bubbles! If you prefer a very bubbly bubbly, look for “musseax,” which means frothy or bubbly. Spumante also means bubbles, so any of them will be bubbly, while “frizonte” means fizzy. Champagne generally comes in only two sizes of bottles: a standard 750 ml and the 1.5 liter magnum, which are considered higher quality because there is less oxygen in them. Regardless of the size, a bottle of Champagne is said to have about 90 pounds of pressure per square inch, which is more than triple the pressure in a car tire. This is why opening a bottle of Champagne is as important as the quality of what’s inside. My champagne sommelier told us that we are more likely to be killed by a flying Champagne cork than by a poisonous spider. Yikes! Maybe it’s because a champagne cork can travel 40 mph if carelessly popped. The ideal temperature to serve Champagne or sparkling wine is 43-50 degrees and did you know there are ice buckets specifically made for Champagne bottles? I didn’t! Champagne buckets are purposely larger and deeper than standard ice buckets so they can accommodate a larger bottle and more ice. Chilling a bottle of champagne in a bucket of ice water before opening not only keeps it cold, it also ensures it will be less gassy and will have less spillage upon opening. What you pour that bubbly into varies. Popular styles of Champagne glasses often change from generation to generation with the more bowl-shaped “coupe” style all the rage in the 1950s while the taller and thinner “flutes” grabbed the spotlight in the 1980s. In my class I learned the “Five S’s” of Champagne tasting: see it, swirl it in the glass, smell it by sticking your nose in the glass, sip it and swish it around your mouth then swallow it. Apparently number three, smelling it, is not easily done with the thin-topped flutes and too many bubbles escape from the coupe, so some experts recommend the newer “tulip” shaped glass style. Whatever style of glass you use, each should be filled only about three-quarters full, meaning a standard 750-ml bottle of Champagne will fill approximately five glasses. You should also pour the Champagne while tilting the glass and gently slide the liquid along the side, which will preserve the most bubbles. If you instead pour the drink directly into the glass, you will likely create a head of “mousse,” making the Champagne harder to drink. 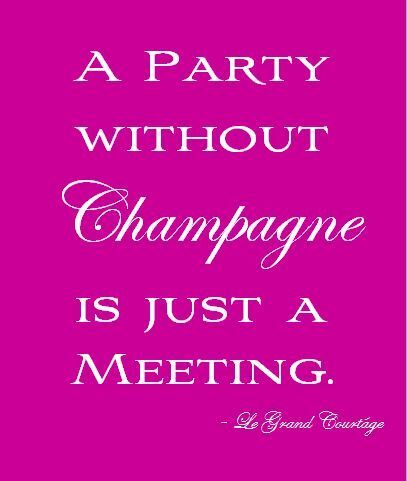 So many people consider Champagne a special occasion drink, but it shouldn’t be reserved for weddings and celebrations. Why not enjoy a glass or two instead of the normal glass of wine while cooking dinner, watching a movie, or just relaxing with friends and family? It also shouldn’t be reserved for the rich, even though manufacturers in the 17th, 18th, and 19th centuries worked hard on associating their Champagnes with certain noble families and royalty. A bit more costly than wine, it is still not off the charts expensive, with most Champagnes starting at around $30 a bottle. Pop culture is full of Champagne tales and legends. One of the most popular is that Marilyn Monroe took the term “bubble bath” literally and bathed in 350 bottles of Champagne! Another is that the coupe style glass was allegedly designed using a mold of Marie Antoinette’s left breast as a birthday present to her husband, Louis XVI. Spraying Champagne during sporting event celebrations is widely done and began when Moet & Chandon started offering their Champagne to the winners of Formula 1 Grand Prix events. Finally, the practice of smashing a perfectly good bottle of Champagne on the side of a boat or ship has been around for at least 170 years. Originally a holy liquid was used as a way of blessing both the vessel and its captain but in the mid-18th century France began using Champagne. Soon this tradition spread worldwide. It is believed that if the bottle doesn’t break or if the ship isn’t christened at all, bad luck will haunt that ship. The Titanic was one such ship. But what about Dom and what about Veuve? Let’s look at each. Dom Perignon was an actual person. He was a French Benedictine monk and cellar master and he is credited with pioneering several winemaking techniques in the 1600s. He introduced corks to the industry as well as the idea of using thicker bottles for Champagne and he innovated the blending of grapes. 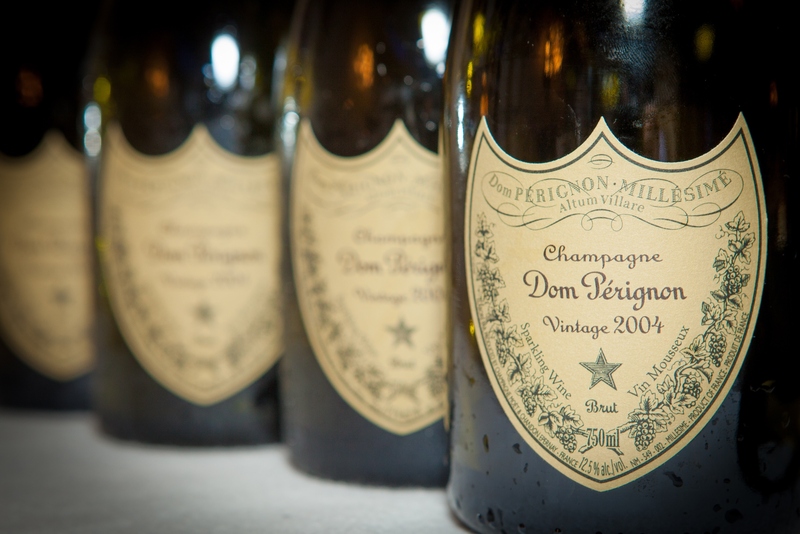 Dom Perignon is considered the first prestige batch of Champagne produced and was named for the monk. It’s the vintage brand of Moet & Chandon and was chosen for the wedding of Lady Diana Spencer and Prince Charles in 1981. Today the monastery where Dom lived is the property of the winery. Then there is Veuve Clicquot, or “vuve” as it is affectionately called, with its distinctive gold label. It is often one of the biggest selling Champagnes in the world and if not for a widow, it would have never found the light of day. Barbe-Nicole Ponsardin was born in Reims, France, the daughter of a wealthy textile industrialist. Nextdoor to her family’s estate lived the Clicquot family whose patriarch, Philippe, also ran a successful textile business. The two fathers arranged the marriage of their children, young Barbe-Nicole and Francois Clicquot. The two had dreams of growing his family’s small wine business, much to the chagrin of his father. Six years after their marriage, Francois died but rather than hide away as a 27-year-old widow, Barbe-Nicole set out to fulfill her husband’s dream and make the business a success. She borrowed money from her reluctant father-in-law and the business was near bankruptcy when she took a huge gamble. Bright and ambitious, the Widow Clicquot was confident the Russian market would appreciate the Champagne she was producing so, rather than wait for the 1800s naval blockades to cease, she smuggled some of her best wines out of France to Amsterdam. Once peace was declared, her shipments made their way to Russia well ahead of her competitor’s products. Tsar Alexander I soon announced it would be the only Champagne he would drink and the rest is bubbly history. Barbe-Nicole was not done yet though. Champagne making was a tedious business and she knew the process needed improvements if she was to meet the demand for her product. She devised what is today known as riddling, the process of turning champagne bottles upside down so the yeast gathers at the neck. The process is still used worldwide. 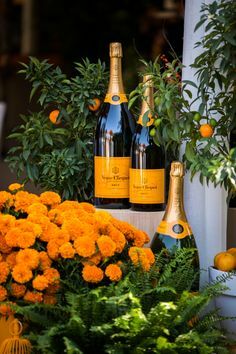 The name “Veuve Clicquot” comes from her married name and the word “widow” in French. It is said the Widow Veuve would entertain Napolean’s officers in her vineyard and, as they rode off with customary complimentary bottles of Champagne, they would use the sabrage method of opening them to impress the rich young widow. They, no doubt, were already impressed with her.